will double over the next decade to £840 billion. According to figures from the UK Plastic Cards 2013 report, card payments increased by nearly 100 percent from 2003 to 2013. The report also noted that cards were used for 73% of all high street retail spending over the period. UK debit cardholders averaged 205 card transactions in 2012, an increase of 10 transactions on 2011. Credit card holders averaged 68 purchases per year. 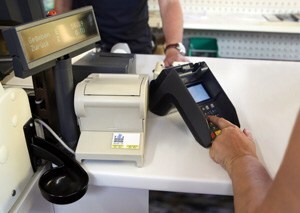 The UK Cards Association stated in a press release that ‘‘this migration away from cash and cheques has been encouraged by the growing number of point-of-sale terminals and the number of UK retail outlets accepting cards… over the past decade this number has increased by 64% to stand at over one million businesses that accept cards’’.